With the PCA verdict approaching, the grouping must stand together on the issue in the coming months. Talking to Southeast Asian countries whose representatives were at the ASEAN-China Special Foreign Ministers’ Meeting in Yuxi in China’s southwestern Yunnan province June 13-14, it is clear that ASEAN consensus on the South China Sea broke down again as in Phnom Penh in 2012. While there were some notable differences – including the much stronger ASEAN pushback against Beijing this time – the eventual breakdown is nonetheless an early warning to the group in a critical year for the South China Sea issue. The South China Sea is not a new issue for ASEAN and China. 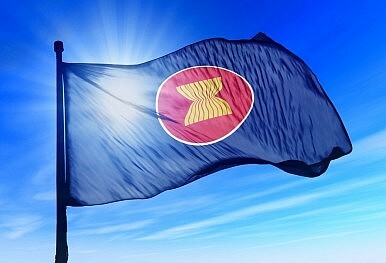 Though ASEAN is an organization that operates on the basis of consensus and only four of its 10 members are claimants in the disputes (Brunei, Malaysia, Philippines, and Vietnam) – the others are either interested parties (Indonesia and Singapore) or not-so-interested parties (Laos and Cambodia) – it has long had a limited but nonetheless important role to play in managing the issue. For instance, ASEAN and China negotiated the 2002 Declaration on the Conduct of Parties in the South China Sea (DOC), a non-binding document that took nearly a decade to finalize and remains unimplemented. For all the deserved criticism leveled against the DOC, it did commit the parties to a list of principles and continues to serve as a baseline from which to criticize China’s destabilizing actions today. Recent years, however, have been challenging ones for ASEAN. The intensifying focus on the South China Sea, combined with trends such as the rising involvement of major powers in the Asia-Pacific and ASEAN’s own growing role in shaping the regional security architecture, have made the liabilities of its institutional features more visible. Within ASEAN, heated private deliberations over the wording of joint statements have made headlines within the context of the South China Sea dispute, as was the case in July 2012 when Cambodian obstruction led to the group’s unprecedented failure to issue a joint communique in Phnom Penh. Meanwhile, external powers have exerted pressure on ASEAN as well as individual Southeast Asian states to take certain positions, with China’s attempts to divide the group being only the most extreme manifestation. 2016 was always going to be a challenging year for ASEAN on the South China Sea for several reasons. First, with Laos – a landlocked country with little interest in the South China Sea and a lot invested in its relationship with China – as this year’s ASEAN chair, many worried about whether there would be a repeat of what occurred in Phnom Penh in 2012. Second, this year is the 25th anniversary of the establishment of the ASEAN-China dialogue partnership, and Beijing is fond of using such anniversaries to mount charm offensives to entice individual ASEAN states and divide the group. Third, the upcoming verdict by the Hague-based Permanent Court of Arbitration (PCA) on the Philippines’ South China Sea case against China is expected during the summer. Cognizant of this, early in the year, several ASEAN states began to suggest the need for a meeting between ASEAN and China to both express concerns regarding the South China Sea as well as to better coordinate the group’s approach on the issue. As I have written elsewhere, accounts from diplomats familiar with the events at the Special ASEAN-China Foreign Ministers’ Meeting suggest that China initially made a heavy-handed attempt to pressure ASEAN into adopting Beijing’s preferred stance on the South China Sea. Multiple diplomatic sources confirmed that China warned ASEAN not to issue a statement following the PCA decision and even called into question the organization’s much-prized centrality, angering some Southeast Asian representatives. Amid this tense atmosphere, ASEAN countries initially came to a consensus to issue an independent joint statement instead of one with Beijing – an unprecedented move for the group. The statement contained uncharacteristically strong and direct language for a formal ASEAN document that goes well beyond its boilerplate joint communiques, including a direct acknowledgement that the South China Sea is negatively impacting ASEAN-China relations. When it became clear that ASEAN was going to issue this statement, Beijing attempted to mollify the group and urged it to adopt its own 10-point consensus. Though that document – which merely restated general principles without directly addressing concerns about China’s South China Sea behavior – was impossible for most ASEAN states to accept, Cambodia and Laos began signaling their discomfort with the earlier joint statement, which led to it not being issued. Three diplomats from three different Southeast Asian countries familiar with the developments confirmed that Chinese pressure factored into this change of heart. Both China’s approach at the meeting and ASEAN’s eventual breakdown are concerning. China is firmly telling ASEAN states how it wants them to behave on the issue, and, if these states do not adopt the course that it prefers, Beijing and its friends are prepared to divide the group to prevent it from reaching consensus. And in spite of an attempt by a majority of ASEAN states to push back against Beijing, one or two laggards continue to undermine regional consensus. With Laos set to host an ASEAN foreign ministers’ meeting in July and a leaders’ summit in September and the PCA decision set to come out soon, the ASEAN-China meeting should serve as an early warning that concerned countries should not ignore. How, then, should concerned actors respond? The focus should be on both preserving ASEAN unity as well as limiting Beijing’s ability to divide the organization. Beyond the latest ASEAN-China meeting, the challenge for the rest of 2016 will be whether the grouping can achieve consensus on the South China Sea during its upcoming summitry. ASEAN’s ability to do so will be viewed as a test of not only how it handles that issue, but also the degree to which it can be relied on to help manage regional and global challenges as the hub of Asia’s regional security architecture. ASEAN may either choose to only adopt the usual joint statement at its upcoming July meeting or also issue a separate one on the PCA decision either at the meeting if it is announced by then or later if need be. Regardless of what the group decides, forward-leaning Southeast Asian states must ensure that the statement(s) contain strong South China Sea language. At a minimum, this statement should have the language that all 10 ASEAN countries already agreed at the US-ASEAN Sunnylands Summit in February. That joint statement mentioned the importance of “full respect for legal and diplomatic processes without resorting to the threat or use of force,” a clear reference to the need for both China and the Philippines to abide by the PCA verdict. Without some reference to international law, any ASEAN statement would rightly be viewed as disappointing. Getting to this outcome will require hard work from all within ASEAN as well as beyond it. Laos, the ASEAN chair, has an especially important role to play. Faced with the likely scenario of an overwhelming majority of ASEAN states calling for a strong statement but for one or two laggards –Cambodia is the likeliest culprit – Vientiane should at a minimum resist any attempt to 1) walk back what ASEAN has previously agreed, 2) issue another Beijing-led consensus document, or 3) allow China to prevent the issuance of another statement. Laos’ position at the recent ASEAN-China meeting was disappointing in this regard. ASEAN cannot afford another Phnom Penh on Laos’ watch in 2016. Other ASEAN states have important roles, too. More forward-leaning countries like the Philippines – despite mixed signals from incoming President Rodrigo Duterte – must continue to push within ASEAN for a strong response to pressure laggards and provide cover for states that lie in the middle. Singapore will play a critical role as facilitator with Beijing as ASEAN-China coordinator, while Malaysia, a quieter Southeast Asian claimant, can play an important bridging role. These actors should strive to ensure that preparations are made to minimize the likelihood of any U-turn on previous consensus (as was seen in Yuxi), and that there are contingencies if there is a breakdown as in Phnom Penh. If there is a breakdown, ASEAN will need strong leadership to salvage consensus, as was demonstrated in 2012 by then Indonesian Foreign Minister Marty Natalegawa with his intense round of shuttle diplomacy to broker a five-point consensus after Phnom Penh. Outside actors need to do their part to help ASEAN to the finish line. Their role could range from support to strong-arming if necessary. To take just one example, if required, the United States could use its leverage on Laos to ensure that it acts responsibly as ASEAN chair on the South China Sea issue. With Barack Obama set to become the first sitting US president to visit Laos later this year and Vientiane looking to boost ties with Washington, Washington has influence that it can bring to bear. Tying Laos’ performance as ASEAN chair to the advancement of the broader US-Laos relationship ought not to be controversial. The Obama administration has repeatedly said that the degree to which it advances ties with bilateral states is partly contingent on the role that they can play on regional and global matters, and the South China Sea issue is at the top of that list. The ASEAN-China meeting in Yuxi has given ASEAN and other concerned actors an early warning as to what we might see for the rest of 2016 on the South China Sea issue. They would do well to heed it. This article was originally published by CSIS Pacific Forum here. For all the claims of confusion, what happened and what it means is actually already pretty clear.